Story: When Walt Disney's daughters begged him to make a movie of their favorite book, P.L. Travers' "Mary Poppins," he made them a promise - one that he didn't realise would take 20 years to keep. In his quest to obtain the rights, Walt comes up against a curmudgeonly, uncompromising writer who has absolutely no intention of letting her beloved magical nanny get mauled by the Hollywood machine. 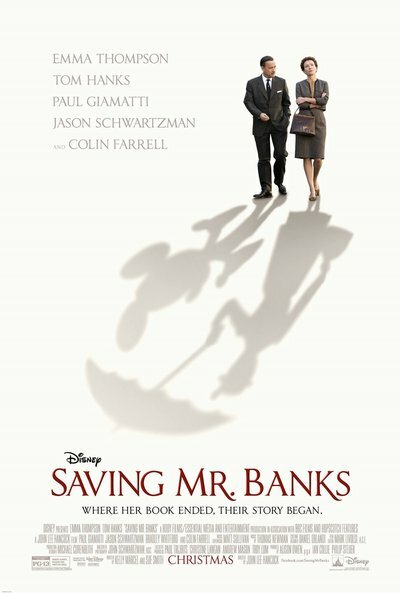 But, as the books stop selling and money grows short, Travers reluctantly agrees to go to Los Angeles to hear Disney's plans for the adaptation.